The 3DMJ coaches are back with another Q&A session! 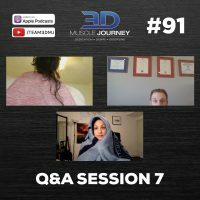 In this episode, Andrea, Eric, and Alberto answer seven questions sourced directly from the 3DMJ community. 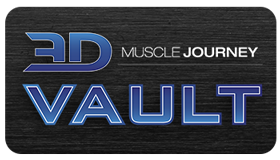 Topics covered include: the mind-muscle connection and its relevance to muscular hypertrophy, getting ready for a photo shoot vs. getting ready for a bodybuilding competition, how to classify someone’s lifting age, and many more. Similar to the previous six Q&A sessions, today’s episode contains a wide array of valuable information and strategies for athletes and coaches alike. Sit back, relax, and join us for an hour of in-depth discussion and continuing education in the areas of coaching, training, and dieting. 1:37- How important is the mind-muscle connection for muscular hypertrophy? 16:00- Does 3DMJ work with noncompetitors?